Over the past couple of days we have contemplated once again the events that lie at the core of our faith. The days have passed as one continuum that starts Holy Thursday evening and concludes at the great Easter Vigil. Easter is to the year what Sunday is to the week. Our Lenten fast gives way to our Easter feast! The unusual thing about these Holy Week days is that none of them fall into the category of ‘Holydays of Obligation’, they are much more than just a matter of fulfilling an obligation or ticking a box. Precious encounters that involve so much that that is tangible in our faith – a basin and a towel, a Eucharistic Procession, a veneration of the Cross, a listening to large tracts of the gospel of St. John, a lighting of an Easter fire, a vigil journey from darkness into light. As the days pass, Jesus says less and less. His growing silence contrasts vastly with the chatter of those who speak against him, his accomplices, his accusers, his betrayers. 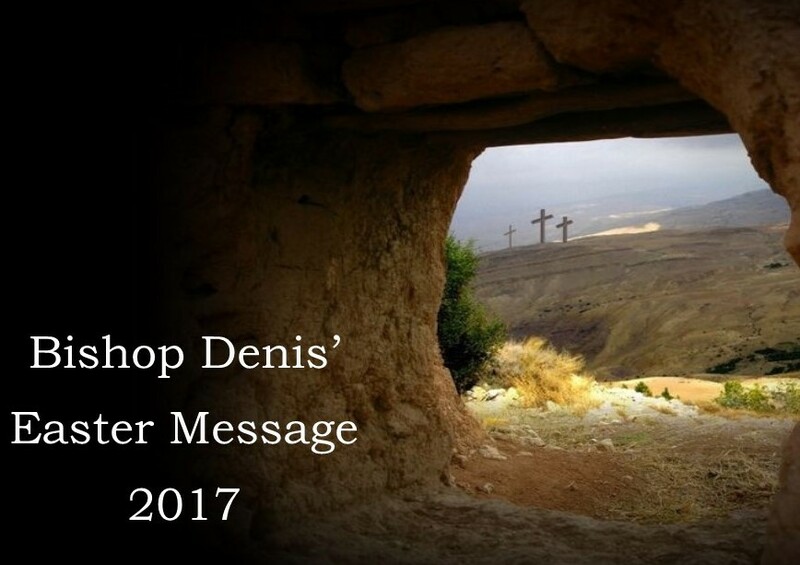 Easter Sunday reminds us that no matter how tough life seems – with the betrayal of Holy Thursday evening, the stark violence of Good Friday and the stillness of Holy Saturday – there is always hope. The empty tomb has given way to His abiding continuous presence which is so reassuring to those most in pain this Easter time. In recent years the attraction of a Dawn Mass has become a new phenomenon. I welcome the Dawn Masses that occur in several of our parishes every Easter Sunday morning, it’s our way of taking our place alongside the tomb with Mary of Magdala, Simon Peter and the disciple Jesus loved.